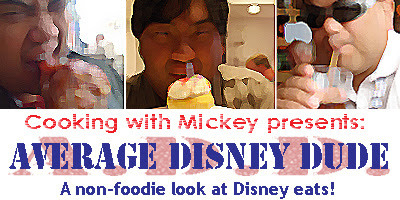 Cooking With Mickey: ADD: Top 5 Hearty Appetizers at Walt Disney World! ADD: Top 5 Hearty Appetizers at Walt Disney World! 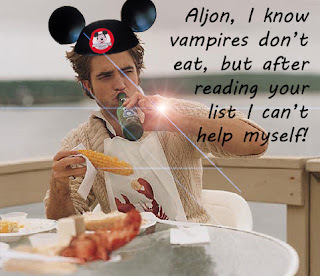 Average Disney Dude: Top 5 Hearty Appetizers on Walt Disney World Property! Appetizers! Om nom nom! They are a very underrated part of the Disney dining experience and they are one of my favorites. If you like to get your money's worth from a plate of food or simply want to stretch your dollar and have something a little more substantial than bread to act as main course here's my list of hearty apps that really satisfy! 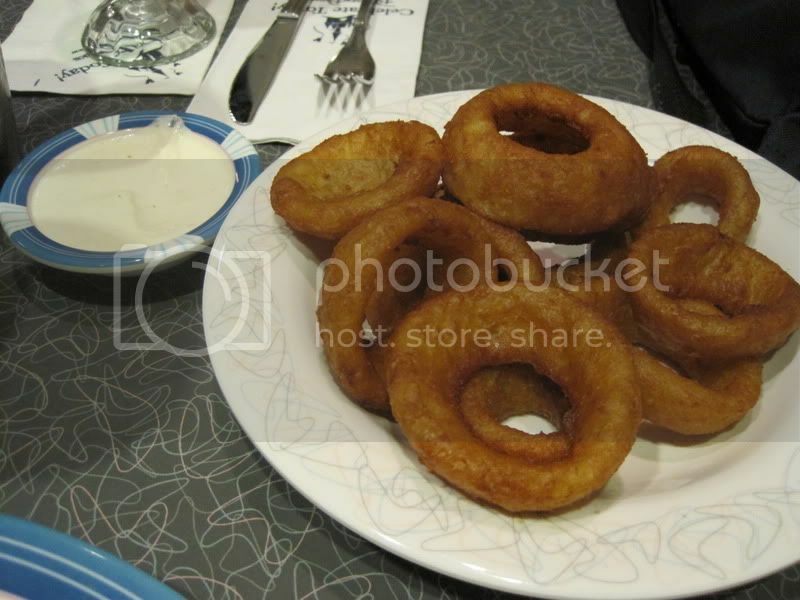 I know what you're thinking - onion rings? C'mon Aljon, really? YES really! This simple plate of beer-battered awesome with that horseradish dipping sauce is something Kristen and I always order. The sweet onions are fried to crispy golden perfection and are absolutely irresistible. A few times we've ordered them we've received so many that we took home the rest to snack on back at the hotel room! A welcome treat after a long day at the parks. This app is a meal unto itself! I ordered this at the bar with lunch thinking it would be a small item but it's pretty substantial and should really be shared between you and a friend! The moist rotisserie chicken, balsamic drizzle along with the mixture of cheddar, goat cheese and caramelized onions on a crispy crust easily makes this carnivore's mouth water! 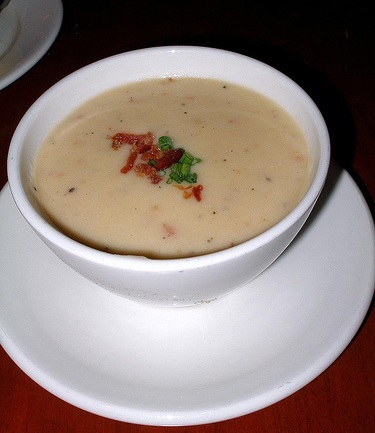 If you ask anyone that enjoys the food at Epcot's World Showcase the Canadian Cheddar Cheese Soup is sure to come up. It's quite arguably the most popular menu item among those "in the know" that it has been featured in practically EVERY Disney cookbook to date. What's not to love about this dish? The combination of cheddar cheese, Moosehead beer and bacon is happiness in a bowl. Next time you're there try the "Appetizer Trio to Share" featuring the soup plus, tomato stack and lump crab! Now that combination will make you want to slap Martin Short's mama! This plate of fried wow-ness is just right for enjoying the sights and sounds of one of my favorite eateries - Raglan Road Irish Pub! I can think of nothing better than to relax, noshing on this app, drinking a Harp beer and listening to Creel awaiting some Riverdancing! These beer battered sausages come to your table ready to party! Six forks for everyone at your table and a little bowl with a few extra sausages. Take note! You'll probably want to order several more ramekins of mustard dipping sauce. I absolutely LOVE the sticky wings from the Ohana menu and these are the EXACT same wings you get there, without all the other stuff and ukulele singing dance teachers. The sweetness of the brown sugar and savory of the soy and garlic along with the sesame seeds make this a very well balanced dish and gets my nomination for best finger food ever! Once you start eating one you won't want to stop - the are that good! Don't just take my word for it, check out everyone's review on Kona or Ohana about these tasty morsels. Thank the Tiki gods for these sticky wings! Just don't tell the Tiki birds! Edward! Put down the corn cob and tell us what you think about this month's list! I hope you enjoyed this little list of stick-to-your-ribs no frills appetizers. Next time you're at the World try ordering some apps among your group of friends, share and sample all the unique flavors for a very nice and social meal. What are some of your favorite hearty appetizers at Walt Disney World? Comment to this article! I look forward to your feedback! In the mean time keep it real and listen to Kristen and I on the WDW Tiki Room on Sorcerer Radio!